Navigating the world of Canadian home buying. - First, decide how much you can afford for your down payment. The Home Buyers Plan lets you withdraw up to $20K per person (or up to $40K per couple) from your RRSPs – tax-free – to be repaid over 15 years. The bigger your down payment, the less principal you will owe, and the less interest you will pay. - Don’t forget about closing costs, like insurance, legal fees, home inspection costs, land registration and land transfer fees. Add those to your moving expenses and service hookup fees, and they can add up surprisingly fast. - Your monthly housing expenses (mortgage, taxes, heat, etc.) shouldn’t use up more than 32% of your income. (If your combined monthly income is $5000, for example, 32% of that is $1600.) If you have car payments or credit card debt, the rule of thumb is that debt repayment shouldn’t be more than 40% of your income. - Get pre-approved for your mortgage. 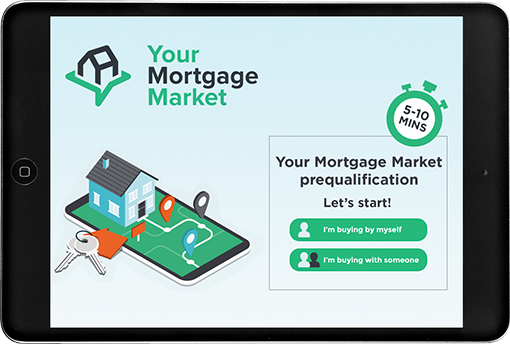 It’s a good way of finding out how much you can borrow – and it speeds up the process once you’ve found the home you want to buy. - Sit down and make a list of must-haves and nice-to-haves. Be realistic, but be clear about the features you can’t live without. How many bedrooms do you need? Bathrooms? Do you want a home office? A garage? How about a big backyard? Hardwood floors? Eat-in kitchen? Consider your lifestyle and your stage of life. If you’re planning kids in a year or two, the studio loft might not be your best bet.